Arriving at Flora Bora Yurts, I knew I wouldn’t want to leave. A yurt is a portable, round, tent-like structure based on those used by nomadic groups from Central Asia. I had never heard of yurt accommodation before adventuring out to Karen and Justin Wasylyk’s self-described “forest paradise” near Emma and Christopher Lakes north of Prince Albert. When I arrived, Karen drove a golf cart to meet me and help transport my luggage down the pathway in the forest. I knew spending time here was going to be something unique. Staying in a yurt is considered “glamping” and Flora Bora is true luxury. There are two available to rent that room up to four people and they come fully equipped. 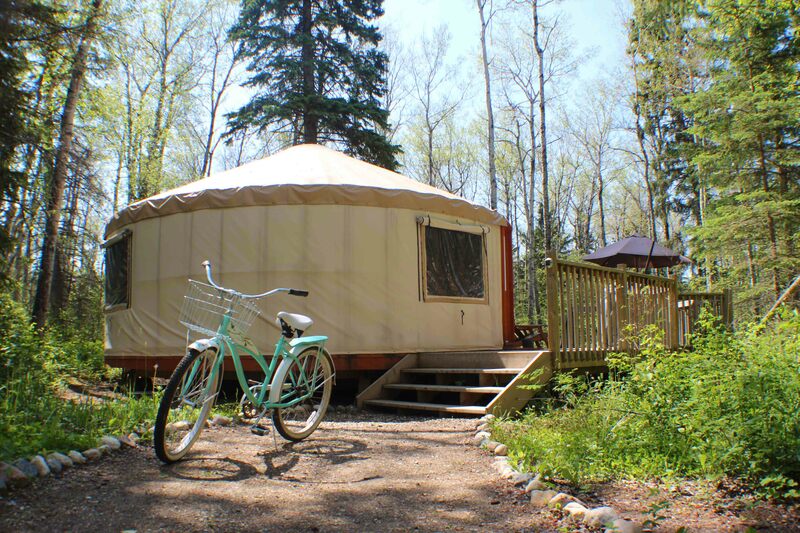 Inside the yurt is an open concept space with a kitchenette and dining area. A private bathroom and hot shower is tucked in the back, with a queen-sized bed just off the cozy living space. Outside the yurt is a deck with a barbeque, picnic table, and Adirondack chairs to enjoy the view. A step away is a private fire pit with wood for a campfire in the evening. 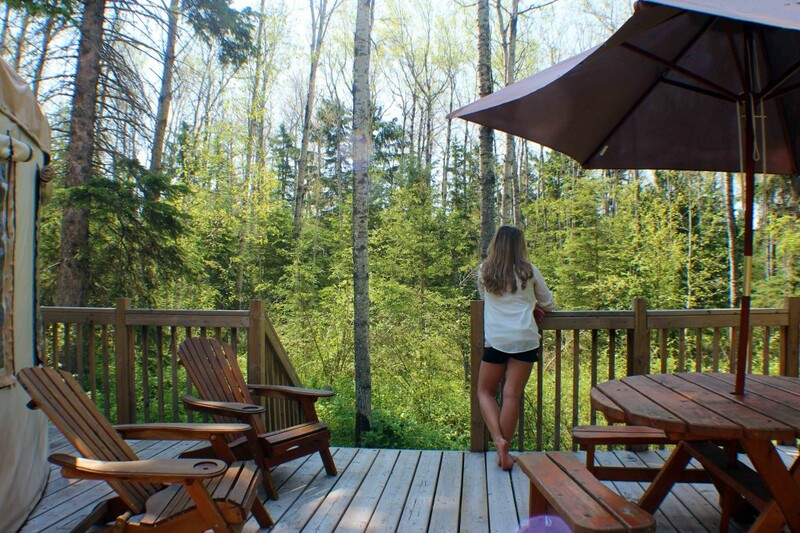 Off the opposite side of the deck is a nature trail that takes you into the boreal forest, through patches of wild strawberries, across a little creek and eventually to a dock that leads you right to Tuddles Lake. Flora Bora provides cruiser bikes to explore the area, a canoe for the small lake, and plenty of advice on how else to spend your time. 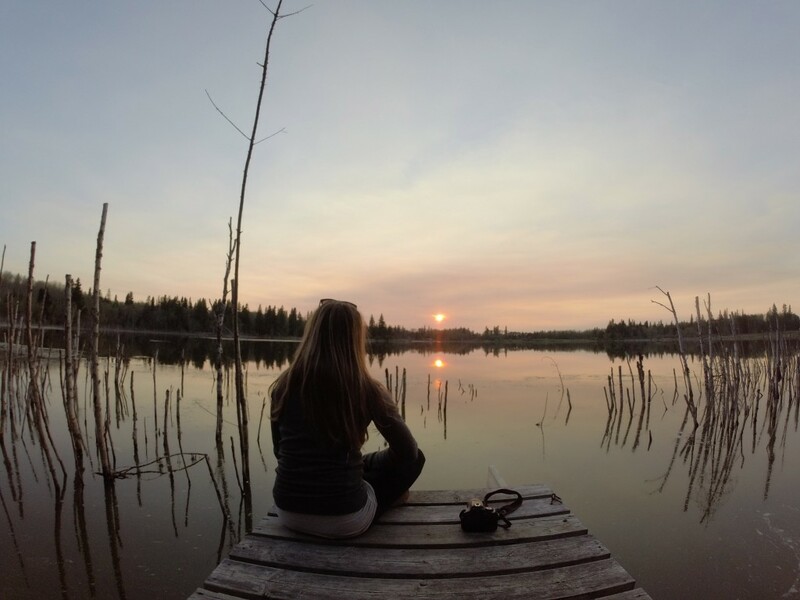 Within minutes of multiple lakes, provincial and national parks, there are a variety of options. I chose to explore the area around Christopher and Emma lakes, grabbing lunch at The Fireside Grill in the Village of Christopher Lake. Then, I beach hopped up to Great Blue Heron Provincial Park, checking out the views along the way at Sunset Bay and McIntosh Point. I ended my day driving into Prince Albert National Park, going for a short hike to the Height-of-Land Tower that sits on the divide between the Churchill and Saskatchewan Rivers and offers a 15 meter high birds-eye view of the mixed-forest canopy. With just enough time to make it back for sunset, I caught a red sun dipping below the trees off the dock at Tuddles Lake with a hint of northern lights later in the night. Flora Bora Yurts is the perfect escape for a weekend away from the city to experience nature, and to spend time relaxing with family and friends at the Wasylyks’ little paradise in the forest.